As a wedding couple who has enquired about getting married at Craig y Nos Castle, we'll send you a daily 'hints and tips' email to help with choosing the best wedding package at the Castle. After your first 4 weeks with us, we'll drop to a weekly email with more detailed information on Wedding Day Preparation and Wedding Planning. The Week 1-4 daily emails are for Couples considering Craig y Nos Castle for their wedding venue. Our weekly letters sent in Weeks 5-30, are for Couples who have either booked, or about to book their wedding at the Castle. These letters should be helpful to you whether you are considering Craig y Nos Castle for your wedding venue, or whether you have booked the Castle. They will continue to be sent to you until you unsubscribe from our mailing list. Once you 'unsubscribe' we'll regard you as 'not interested' and cease all contact. If you inadvertently unsubscribe while still interested, and miss out on the wedding planning advice, you can find the first 30 daily letters indexed below and the subsequent 25 weekly letters here. 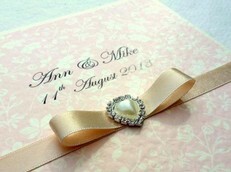 I will be in regular daily contact with a wedding tip each day, for the next 30 days. Please look out for these tips and over the next 30 days we will together build up a picture of how your wedding will be planned at Craig y Nos Castle. If at any time you wish to unsubscribe from our daily tips and advisory notes, simply press the ‘unsubscribe’ link at the bottom of this email. When you first thought of getting married, the chances are you had a budget vaguely in mind. Let me tell you something you will not have realised! As the months go by and your planned wedding date gets nearer, no matter what you think you can afford or wish to spend at first, your budget will increase. Well that depends on how much you want to plan for your wedding day. How much are you prepared to compromise your Special Day by staying within budget, and how much are you prepared to compromise your initial budget as you add in what you really want for your Day? I read somewhere recently that the average Couple in Wales start off with a budget of around £7,000 for their wedding, and end up spending nearer £17,000. The days between now and your Wedding Day are a new journey, and a few unexpected things will happen along the way. Adding £10k to your initial budget is, based on averages in Wales, something you will not have expected! Craig y Nos Castle Weddings – Who pays for what? Yesterday we talked about your wedding budget, and how you may start with a budget of £7,000 and end up spending £17,000 (in Wales). Incidentally I read in The Times recently that in England, the end figure is around £27,000, on average. So, Castles in South Wales do offer better value! I do hope these dramatic figures have not put you off getting married at Craig y Nos Castle. 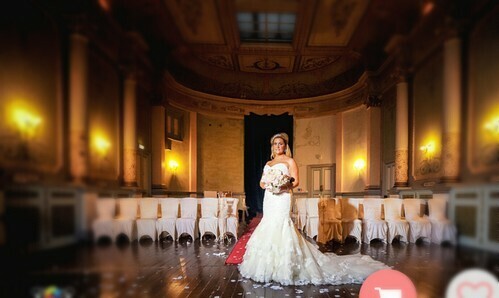 I know you would love to have your wedding exclusively in our Castle. The question is, how can we make this affordable for you? Well, before we discuss ‘affordability’ at the castle, I thought I should let you know that it is not customary for YOU, as the Wedding Couple, or for a Bride or Groom individually, to be paying for the whole wedding. Did you know there is an established custom on who pays for what, at a wedding? While individual circumstances of family members may vary, the guide on the link below could be very useful for you. It will indicate how and where you can start sharing the cost of your wedding. It’s a simple formula but could save you £ thousands, personally, if you can get some help from others. Now you will begin to see how the budget can be split among others, and how with others help, you can really start planning for your Special Day. Craig y Nos Castle Weddings – Affordability? Over the last couple of days, we have covered your likely wedding budget, and how you can get help from your family members with the costs of your Special Day. Today, as promised, I want to briefly touch upon how a wedding at Craig y Nos Castle can be made more affordable for you. In essence, how can WE, as your wedding venue, help you save on costs? Some venues will require you to buy a whole package including all the above. Others may allow you to pick and choose. At Craig y Nos Castle, we allow you to pick and choose. You can start by booking a basic Day Guest Package from £50/ head, plus exclusive use of the venue at discounted or no venue hire, depending on the Wedding Package chosen. This simple £50/ day guest rate makes it easier for you to work out your costs for the ‘wedding breakfast and venue’. Craig y Nos Castle Weddings – Weekday or Weekend Wedding? Yesterday I sent you a link to our Weekend Wedding Package and explained how you can book a wedding from just £50/ day guest, if you have set minimum numbers for your wedding. 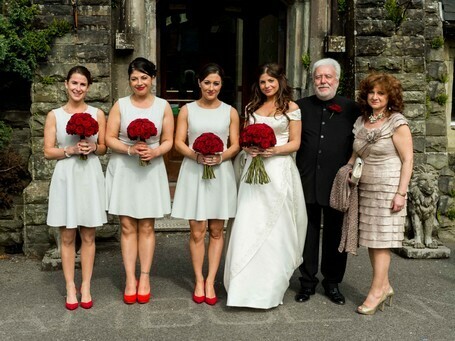 Now our weekend weddings at Craig y Nos Castle are really for larger weddings of 60 – 80 day guests. We are a large castle wedding venue, and only allow one wedding to take place a day. You have exclusive use of the whole venue ground floor rooms on our Special Weekend Wedding Package. 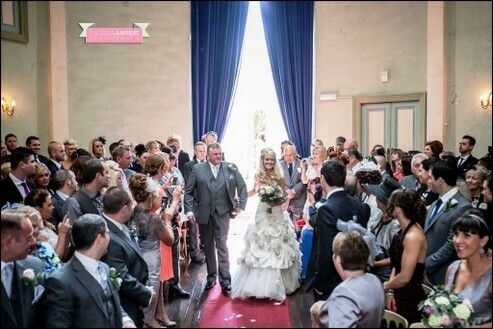 You really do need to ‘fill the venue’, to have enough guests to justify holding a wedding at Craig y Nos Castle. If yours is a smaller wedding, below 60 Day guests, then the Weekend Wedding Package is not for you. There are alternatives, which I will explain over the next few days. But for now, if you are looking for a smaller wedding, for around 50-day guests, then as far as Craig y Nos Castle is concerned, you are looking at a weekday wedding package. If you are considering a mid-week wedding, or a smaller wedding for 50 guests, note that Sundays are included in our ‘mid-week’ days. 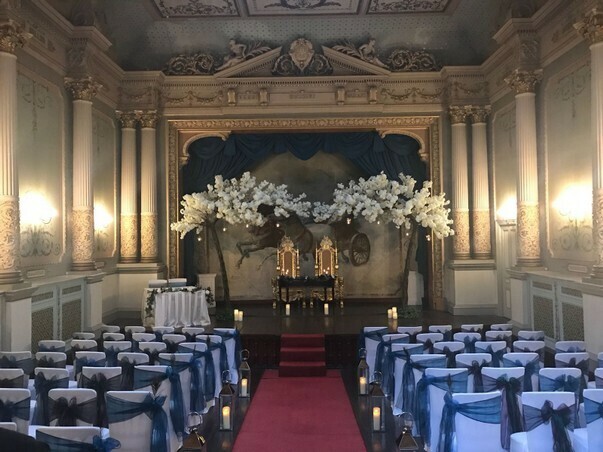 Sundays are becoming increasingly popular for smaller more intimate weddings, and we have seen a surge in bookings for Sundays and midweek weddings. Remember, when you are ready to book a viewing, if you have not already done so, you can book a viewing on the site, by completing the viewing request form which appears on most pages. Craig y Nos Castle Weddings – Friday or a Saturday? Yesterday we considered the benefits of inviting all your guests for the whole day, rather than have a separate evening guest list that is much higher than your day guest list. This may have allowed you to increase your Day Guests from around the 50 mark to a higher level, to qualify for the Weekend Wedding Packages. 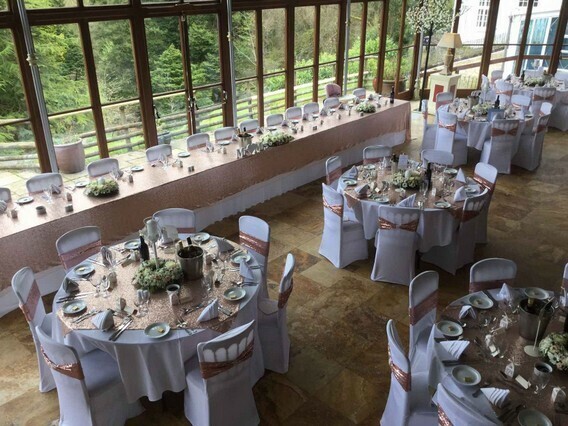 If you have settled on a weekend Wedding Package at Craig y Nos Castle, as your preferred option, the next question will be whether you go for a Saturday wedding (generally very popular – hence the Saturdays go first) or a Friday Wedding. In our view, a Friday Wedding has several advantages over a Saturday wedding. 1. No venue hire on the Special Wedding Package on a Friday – free exclusive use of whole castle venue. 2. Friday guests will be able to stay two nights, as the first night on the Thursday will have availability, whereas on a Saturday, fewer guests can stay two nights because there’ll be guests of the Friday wedding staying. 3. Mid-week we offer a ‘half price on second night’ deal, on a lower midweek tariff, meaning mid-week guests staying the night before your wedding only pay £70 B&B for a double en-suite, less than half the weekend tariff. 4. The very low B&B rate for the night before the wedding means guests having a long journey can get to the venue the night before, instead of staying in local hotels, and have no travelling on the wedding day (this also applies to yourself and your bridesmaids). 5. Many Brides with a Friday wedding now make an ‘early weekend’ of it, effectively taking over Craig y Nos Castle for the whole two days. You and close friends and family can have a meal and an informal get-together and relax in our bar the evening before the wedding – so relaxing, no rush or pressure on the day! Craig y Nos Castle Weddings – what about the evening guests? Yesterday we talked about the possibility of holding a midweek wedding, which would be best if you had a smaller wedding of around 50-day guests. Now on a lot of enquiries that come in to Craig y Nos Castle, I see Couples fill in two numbers for their guests – one number for Day Guests attending, and a much larger number for Evening Guests. Often there is quite a big difference between the two. Yet in practice, because Craig y Nos Castle is a ‘destination wedding venue’, and because we are in a rural area in the Brecon Beacons, we are quite a trek for ‘evening only’ guests to make. A 'destination wedding venue' is one you have to travel to and where you tend to have everyone stay over for the day and night. Having extra evening guests at a 'destination wedding venue' is not so practical - instead you invite everyone for the whole day. A 'local wedding venue' is one in your own home town near to which most of your guests live, and to which evening guests can travel, and get back home from, within a 30 - 40 minute drive. Evening only guests are more likely to attend a 'local' venue than a 'destination wedding venue'. Day guests, no problem, they will feel valued, and if invited for the whole day, they will make the effort. But evening guests, contemplating the journey for just a few hours …. well, they may not feel as valued, being invited for the evening only. They may feel it does not matter so much if they do not turn up, that their absence will not be noticed. You are then left with fewer people coming in the evening than you thought (and may have paid for). 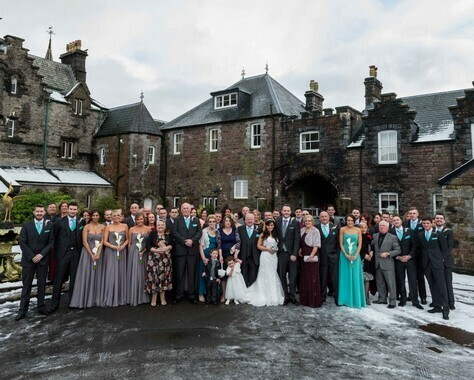 For a wedding at Craig y Nos Castle, where you take the venue exclusively for your wedding day, it is better to invite everyone for the whole day. You'll then make full use of the castle’s exclusive rooms for ALL your guests, for the whole day. Craig y Nos Castle Weddings – Last Minute Weddings & Winter Weddings? Yesterday we looked at the benefits of Friday and Saturday weddings. You will have noticed the link I sent you yesterday also discussed the benefits of a winter wedding over a summer wedding, and so I would like to touch upon this a little further. Until 2018 we used to have only a few weddings in January, February and March, typically 5 – 7. Yet in 2018, we jumped to 21 weddings and in 2019 will probably end up with 25 weddings booked in this first quarter. Well, in part, it is becoming more fashionable to have a winter wedding. Also, Winter Weddings suit smaller weddings looking for a good deal, which you cannot so easily get in the peak summer months. But the main reason for the tripling in the number of Couples choosing to get married at Craig y Nos Castle in winter was down to us promoting a deal no one could refuse! We extended our Last Minute Wedding Package a year ahead, to include Jan Feb Mar of the following year. Our Last Minute Wedding Package also carries a value for money guarantee on it, meaning you don’t need to look anywhere else for ‘better value’. If, before or even after booking, you find any venue offering a similar package at a similar standard of venue, with exclusive use of multiple function rooms etc, we will match their price. Craig y Nos Castle Weddings – Will your guests want to stay overnight - what if they won’t? Delighted you are still with us! Remember you can unsubscribe from our Craig y Nos Castle Weddings Tips and Advisory emails at any time, simply by ticking the unsubscribe box at the end of this email. Hopefully you will continue to find our Wedding Tips for your wedding at Craig y Nos Castle, both helpful and informative. Over the last few days we have looked at a few wedding packages where you will have noticed you need a minimum number of day guests and some staying overnight. The number of guests needed varies depending on the Package you choose and the day of the week. Most prestigious wedding venues will have varying minimum numbers but few are geared up to have all your wedding guests stay overnight on your Wedding day (and the day before). However, you may decide you do not like any of our Wedding Packages because you cannot get sufficient guests, or sufficient guests to stay overnight. There are always other options, which I will go though over the next few days, but first, let’s look at an alternative package where you do not need ANY guests to stay overnight. Our Members Wedding Package is for large local weddings (Swansea area) where most guests, being ‘local’, will NOT want to stay overnight. 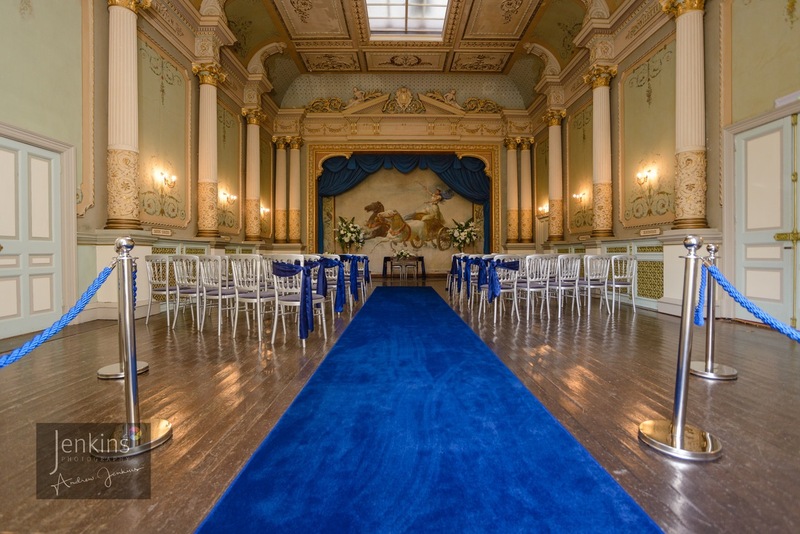 You’ll need 125 guests at your wedding for full and free exclusive use of the whole castle ground floor, but you can start at 75 guests if you wish, on different terms. So far, we have together looked at a number of Wedding Packages offered by the castle and considered the benefits of a smaller or larger wedding. We have considered the benefits of a weekend or weekday wedding, a Friday or Saturday wedding. We have looked at several Day Wedding Packages, with or without overnight guests, and also looked at how you can share your wedding budget among family members according to tradition. Today I am going to share with you a new trend in money-saving on the wedding venue. It is this. 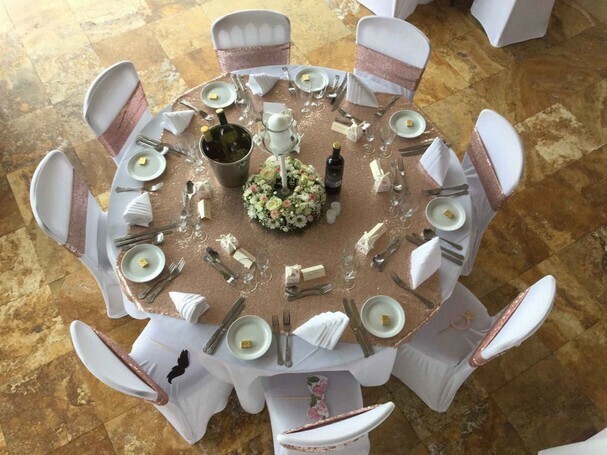 Rather than go for a full wedding day, with traditional wedding breakfast, and all the trimmings, how about having a later Wedding Ceremony and an evening only Wedding Reception? Now this may not be your cup of tea, and to be honest, it is only a recent trend and we are seeing most weddings prefer the full day and evening at the castle, to make the most of the daytime views from the Conservatory over the Brecon Beacons and to make the most of the exclusive use of the ground floor rooms of the whole Castle. However, I must mention this ‘evening only’ option here, in case it is something you might like to consider for your wedding at Craig y Nos Castle. The above evening only Package can be taken either as an add-on to the Day Party, or as a stand-alone. Terms and conditions apply – for example you will need a minimum of 100 evening guests and pay a rate of £35/ head as ‘a standalone’, and there are other terms on the above link. See more details on what is included in the evening entertainment package here. Also, this Package does not include the Ceremony room, yet it might suit you, particularly if you were marrying elsewhere (for example, having a church wedding). It is worth a look anyway, just as another option. We’ve now looked at various wedding options for your wedding at Craig y Nos Castle – different days of the week, different packages, different seasons for your wedding etc - but what we have not yet covered in any detail is planning your wedding at Craig y Nos. Bear in mind weddings are our business. We specialise in weddings and in planning weddings, and we hold in excess of 110 weddings a year at Craig y Nos. Yet each wedding is unique, each Wedding Couple has their own precise requirements. No one wedding is the same. You will want things done your way, to your plan. It is vitally important for us and of course for you, that we each know what you want, and that we are efficient in our systems and procedures to work with you to create your tailor made, bespoke Perfect Day. So, in the next few daily emails, I am going to cover what we at Craig y Nos Castle, do, to plan your Perfect Wedding Day, and explain how it all works, with links to each element of planning your wedding. The above is a general introduction to our planning service. It will help you to understand all that goes in to planning your perfect day, and to ensure everything runs smoothly and effortlessly on the Day itself. 3. The Special Room Use Monitor spreadsheet which lists all our rooms and on which you can list all your guests who are staying, thus reserving specific rooms for your named guests. Tomorrow I will send you further information on our rooms, which are the best rooms for certain guests, our room capacity, and more. Craig y Nos Castle Weddings – Accommodation at Craig y Nos Castle – how many guests can stay overnight? As you know, most of our wedding packages ask you to book a number of guests in to the accommodation. Because we are in a rural location, and most guests will need to travel to get here, and because we are a ‘destination wedding venue’, we do attract a lot of weddings from all over the country. You want to be sure that we have enough good standard accommodation and that we can accommodate all your guests. 1. 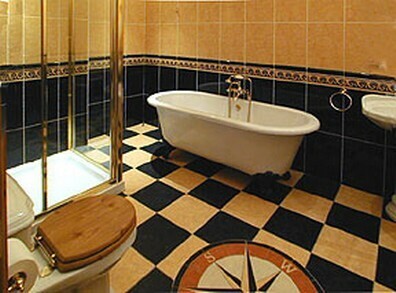 Our en-suites comprise a mix of double en-suites, triples, and family ‘apartments’, numbering 25 in total. 2. 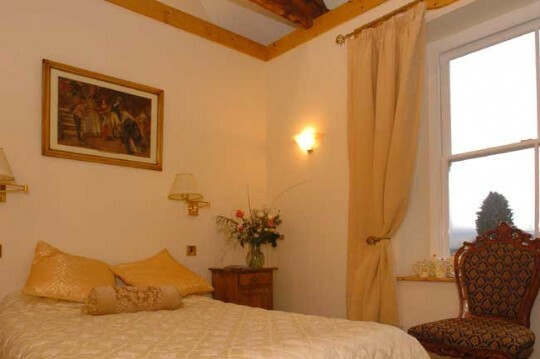 We can sleep 81 guests across our 25 en-suites, as several are double bedroomed and larger family rooms. 3. A further 19 guests can sleep in our budget ‘Nurses Building’ which comprises a mix of doubles and twins. If you do not require this building, it can and may also be used for guests not attending your wedding, should guests of the next day’s wedding need to stay over the night before. 4. Our total guest capacity is therefore 100 overnight guests. 5. 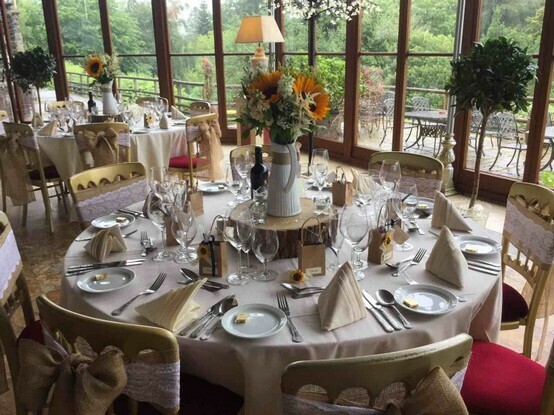 Where there is no wedding before yours, typically if your wedding is on a Friday or midweek, your guests will be able to book in to their room the night before your wedding, at half the midweek price (£70/ room), if staying two nights. See Availability of B&B here (only shown 6 months ahead). You’ll find information on where to change if guests are not staying the night before (as the official booking in time is after the wedding ceremony), single occupancy, two-night stays and more. Over the last couple of days, we have been looking at the accommodation availability at Craig y Nos Castle. Because under each of our Packages (well, all but the Members Wedding Package), you will want to make maximum use of our accommodation, you will probably want to reserve rooms specifically for each of your guests. 1. Where you have disabled guests or guests needing the ground floor rooms, you will want to select the most appropriate rooms for them. 2. Where you have families, or at least a group of guests willing to share a family room or apartment, you will want to nominate family rooms for them to use these rooms to best advantage. 3. If you are seeking to fit in more than 50, or have a number of singles, you will need to fit more than two guests into family rooms. This information will hopefully prove invaluable in deciding which rooms are best suited to which guests. 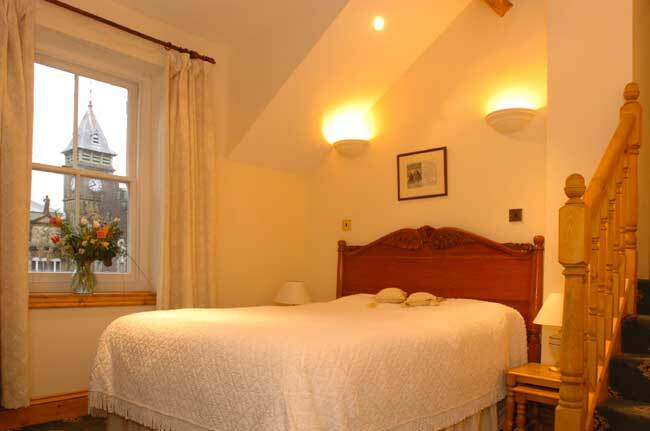 Alternatively, if you prefer, you can leave it to us to book guests randomly into the rooms as and when they contact us. As you will know from our past Advisory Emails on holding your wedding at Craig y Nos Castle, we allow you free or discounted exclusive use of the Castle Wedding Venue, provided you have certain minimum numbers attending your wedding and staying overnight. Since most of our weddings are travelling some distance, we tend to have everyone wanting to stay overnight on your wedding day. However, some guests may opt to shop around, and pay less by staying in a local pub. 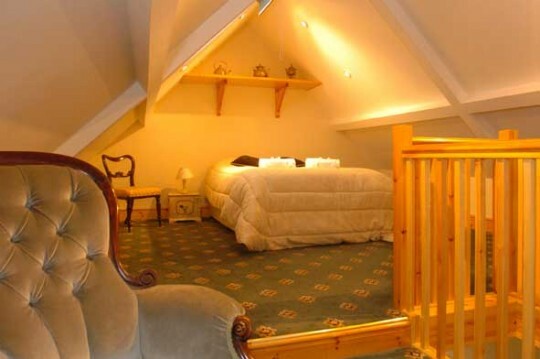 This will ensure all your guests stay overnight at the castle, provided you have sufficient guests living a little distance away, and also it will even encourage local guests to stay over, and party with you late into the night, instead of risking drink-driving back to their own home or to some local pub for the night. Owner / Craig y Nos Castle. It’s now been a couple of weeks since you enquired (or longer, maybe) and we’ve covered, so far, the various wedding packages and our accommodation. Yet the most important part of the day we have not addressed is your wedding banquet. Included in all our wedding packages is a 2-course wedding breakfast. You can choose any two mains, any two starters and/ or any two puddings, to create a two-course bespoke wedding breakfast. You then send your RSVPs to guests, with the choice of two mains and two starters, plus a vegetarian option, and invite them to confirm they can attend your wedding and to choose their preferred menu. There are in fact four wedding breakfast menus to select from, two menus on the standard wedding breakfast, and two on the superior wedding breakfast (which costs a bit more). You can mix and match items from each menu, to make your choice of two mains and two starters (a higher rate applies to items chosen from the superior menu). You can add in a 3rd course if you wish, or use your wedding cake as a third course (different rates for each option apply). Once you have made your selection, let us know, and then you send out your invites with your selected menu items, inviting guests to choose what they would like to eat at your wedding banquet. Today we are going to consider the optional (but generally selected) Evening Buffet. Now, with our wedding packages, the Evening Buffet is optional. However, for the mid-week wedding packages and the last-minute wedding package, use of the separate evening function room is conditional on you taking the evening buffet. Also, if you have a decent gap between the Wedding Banquet and the Evening Party, and once the drinks flow (your average guest will spend £25 over the bar during the night! ), you will find people recover their appetite and will want to eat an evening buffet. They may only start picking at the buffet around 10 pm, so it’s a good idea to choose items that can be ‘left on the buffet table’ for longer. 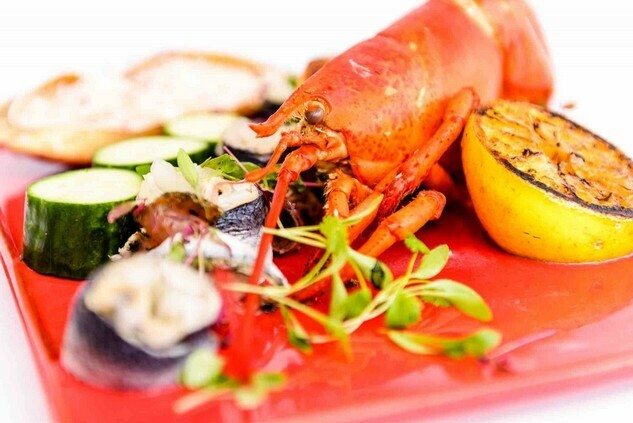 You do not need to book a buffet when you initially book your wedding at Craig y Nos Castle. It is an optional extra. You can decide to have a later wedding breakfast and dispense with the buffet altogether. But at £17/ head the Craig y Nos Evening Buffet is good value. We do find most weddings (90%) end up booking the evening buffet. We also find, even with a late Banquet, guests do get hungry again, eventually, especially when a wedding party is going on till midnight or later. Craig y Nos Castle Weddings – Evening Buffet – Yes or No – how about cheese? Yesterday we discussed the Evening Buffet choices. I forgot to mention you can select any 6 items from the buffet, for your own evening buffet. … that you can also save money by not having the full Buffet, but instead opting for a Cheese Buffet. The Cheese Buffet is an alternative option, costing only £12.00 a head (so is less than the £17/head full buffet). 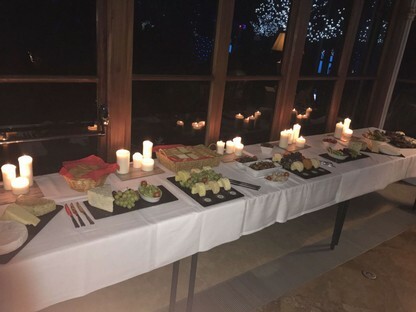 It’s for a minimum of 50 people, so for £600 you can provide an evening Cheese Buffet, for 50 guests. This might be suitable if you wish to provide something rather than no buffet at all, and is a good option if you have a late wedding breakfast, and if you want to save a bit of money on the full buffet. Craig y Nos Castle Weddings – Should I use professional Suppliers, or can I use a friend who makes cakes / DJ’s / has a band (etc)? As you look around at who you know who can help out at your wedding, either financially or in planning the Day, it may occur to you that you actually have some useful contacts who could do a bit more for you. You may know a friend who is excellent at table décor, or who does cupcakes, or who DJ’s, or who makes cakes, etc. Should you use them, or should you use a professional? Well, the general rule is, if you want to keep your friends, do not let them do anything ‘critical’ for your wedding day. Make sure you use professionals for key elements such as Wedding Photography, the Dress, the Wedding Cake, and the DJ’ing. Someone to help with a non-critical element (so long as it is non-critical) such as a cupcake display, maybe OK (but even then, you will be furious with them if they muck up)! Craig y Nos Castle Weddings – Bake me a Cake – how to create a Wedding Cake that will not collapse on the day, and that I can keep to eat a year later on my first wedding anniversary! Whoever would have thought that there was a science to making a wedding cake? But there is. Get it wrong and your cake could end up askew like the Leaning Tower of Pisa. As you can imagine, with now over 100 weddings a year, over 17 years of handling weddings at Craig y Nos Castle, we have seen everything that can go wrong with wedding cakes. We have seen cakes that have ‘taken off’ in the boot of a car, due to travelling unsecured and too fast cornering, needing some careful surgery by our own staff on arrival. We have seen upper tiers lean precariously, due to use of a sponge base with top-heavy fruit upper levels. We’ve seen decorative objects disappearing behind the Cake Stand, in pieces. On one occasion we had to borrow a previous wedding’s discarded turrets to reconstruct the fallen turrets of the Couple’s collapsed castle wedding cake (both Couples had castle wedding cakes that weekend). The above link has useful information on cake construction, cake positioning, cake transport, cake cutting and serving the cake. Craig y Nos Castle Weddings – Get everything in Writing – here’s why and how! In life, we all deal with people we like. A friendly smile, someone who remembers our name, someone whom we can believe in, we will choose over a non-peopley, non-friendly person. And yet, when it comes to planning your wedding, how the Supplier comes across to you may have little to do with how competent they are. Most Suppliers, particularly wedding suppliers, depend on their reputation, so they will not let you down. Nearly all the wedding Suppliers on our list have been known to the Castle for years, decades, even, so it makes sense to select Suppliers from our own list here. It can happen that with the best will in the world, a Supplier, or a Wedding Planner, anyone, may miss some little detail you mention, may fail to hear something you say, and may say yes and yet forget to note it down. The answer is so basic, yet so important, and it is that you must get it all in writing. It can be an email confirmation of a telephone conversation, or a text confirmation of a conversation, or meeting. The main thing, is you summarise what you have agreed in writing. This then forms a binding contract between you and the supplier. The Supplier can refer to your emails and text, to be sure they have done everything you want them to do. When you see your own Order of the Day at Craig y Nos Castle (more tomorrow) you will see how we too have to be sure to get everything you require for your Wedding Day written down and planned, to the letter. At Craig y Nos Castle, 4 – 6 weeks before your Wedding Day, we will call you to arrange the Event Finalise Meeting. You will have prepared your own thoughts on your Order of the Day before this meeting, and our job is to get down exactly what you want and to make sure it happens smoothly on the Day. Getting the Order of the Day right can be complicated, as every wedding is individual. No wedding is the same, in many respects, yet all weddings are the same in other respects – namely for each of our Wedding Couples, this day is the most important day in their lives. It has to go right. The other thing all weddings seem to have in common, is that all weddings run along smoothly and effortlessly on the day – as far as the wedding couple is concerned. If things do go wrong on the day, you will never know about it, for the Running Order Plan is in place, and is followed by our team. There are a lot of useful links on the above, to other ‘Planning your wedding’ pages on the site. As you’ll now be discovering, the Castle weddings website is a useful on-line resource which will help you plan your perfect day. There is so much of it to absorb, that it’s best studied a bit at a time! Yesterday we touched upon a load more Wedding Planning links when we considered the Running Order of the Day. That is looking quite far ahead, to your wedding day. Before then, a lot needs to happen and in an ideal world (less easy if you are organising a short notice wedding) these lists of things need to take place over a period of several months, in a given order. If you have less than a year to your wedding then the time schedule for these tasks needs to be reduced, but you will still need to complete most of the tasks. Ok, so a few of the above you might dispense with, but it is a useful aid to ensure you do not forget anything. There are also handy links on the above, to the various suppliers who provide each of the services you’ll need to arrange. Have you arranged a viewing yet? If you are still with me on this journey through our wedding tips and advisory notes, you are probably quite keen on holding your wedding at Craig y Nos Castle. If you are not so keen on getting married in our Castle, remember you can unsubscribe at any time by clicking on the unsubscribe link at the bottom of this email. You will then not hear from me, nor any of our wedding planning team, again! Now let’s cover the choice of your wedding venue. For, let’s be honest, until you view the venue, you won’t know if it’s right for you. But you can do some early preparation to decide which venues to view, based on your own requirements for your wedding day. 7. Wedding Dates Availability – is your date available? 8. Obligation to use preferred suppliers – yes or no? 10. Photo Opportunities inside (in case it’s pouring with rain) and outside. 11. LOCATION – will you and your guests get to the venue/ are you all prepared to travel to it? Craig y Nos Castle Weddings – Will the Wedding Venue be ‘a match’ for my wedding day? Yesterday we covered what you might need to consider on choosing a venue, but we did not consider whether the venue could be a match for your wedding day. You might think we did, but in a way, it is not just whether the venue is big enough, or in the right location, or has a late bar. Choosing a venue is not just an exercise in ticking boxes – yes it has these facilities – no it doesn’t have those facilities. Choosing a venue is more an emotive question – like choosing a partner, the venue has to be ‘a match’ for your wedding day. So how will you know, how do you decide on something that is really more ‘emotional’ than logical? Well, as it happens, there is a way of doing this. 1. Venue old or new; do you want characterful gothic historic, or clean pristine lines and modern? 2. Do you have a wedding theme? If so, how will the venue complement the theme, the colours, the style of your wedding? 3. What natural features (fireplaces, view points, scenery, balconies, doors, arches etc) will complement your own wedding décor ideas? 4. Acoustics – where is best for bands, live musicians etc, if planned? 5. Ambience – what ambience does the venue have, how might it fit your wedding plans? Craig y Nos Castle Weddings – why do I absolutely need to have a toastmaster, and what do they do? You have probably never considered a toastmaster – why would you? Few weddings seem to have them these days, admittedly. And yet they are almost a must-have. Some venues even say they ‘include a toastmaster’. We do not, but if we slipped a red jacket on our wedding planner, we could claim to provide this service! For in the absence of a delightfully traditional and smart red-jacketed toastmaster, our Wedding Planner will fulfil the functions of a toastmaster for you. Our wedding planner is on duty on the day, ever present, to ensure everything runs smoothly. So why, you may well ask, have a toastmaster? Why do I like them so much? 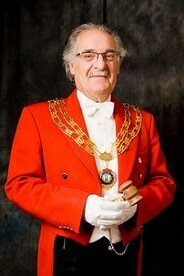 Why do I, as owner of the Castle, like to see a toastmaster at a Wedding? Well, it’s difficult to put in words, and to be fair, my reasons won’t be the same as yours. You might not like the look of a toastmaster. You have to ask; will a toastmaster enhance the ambience at your wedding? Are they suited to your wedding style? Will your guests even appreciate this addition? Personally, I feel a toastmaster ‘suits the castle’, much like having a smart Butler opening the front door to guests in the old days would have suited the castle, when a private house. I just think it looks ‘quality’ to have a smart Toastmaster. He creates a distinctive first impression as your guests arrive. A good local toastmaster is also very handy for keeping things running on schedule, ensuring suppliers are following your ‘order of the day’, and rounding up your guests for the photographs. He calmly and effortlessly directs everyone to where they need to be, when they need to be there. Please do not employ anyone other than our own approved toastmaster as anyone not familiar with the building has to be shown from scratch, in addition to understanding your specific Running Order of the Day. See: https://www.craigynoscastleweddings.com/wedding-reception-swansea-suppliers-toastmaster.html for choice of toastmaster. The Wedding Ceremony is a formal occasion that follows a strict and set pattern. You will be rehearsing this with the Registrar, but there are elements to the Ceremony the Registrar won’t be covering. The Ceremony breaks down into the prelude, the seating of the mothers, the processional, the ceremony itself, and the recessional. You will have a period of half an hour or so before with music playing during which time guests arrive in any particular order, and sit down, space being left in advance for close relatives etc on the front rows. The Mothers are then seated, duly escorted, five minutes ahead of the Processional. You will need someone to organise the correct music for the Processional, so timing and co-ordinating things is important. The Ceremony itself only lasts 20 minutes, and is the section you should be able to practice a little before hand with the Registrar. Organise your photographer to take the Recessional and Post Recessional photographs and ensure whoever is playing the music knows to play the correct song as you leave. Once you have an idea of who is coming to your wedding, you’ll be wanting to send out professionally designed and printed RSVP invites and copies of the Wedding Breakfast Menu so your guests can choose what they want to eat. Before you send out your RSVP’s, you will have created a shortlist of wedding guests, not all of whom are going to be able to come to your Wedding Day. If you have planned your wedding a year or more in advance, you can send out ‘save the date’ cards, prior to sending out your formal RSVPs. Ideally between the save the date cards and sending out the formal invites, you should have got some idea via modern social media, text, email, etc, who is actually planning to come to your wedding. Yesterday we talked about Wedding Invitations but I perhaps got this the wrong way around, as before you send out your formal invites, you should have organised your choice of menu. This enables you to send out your menu options with the invitations. So, with your RSVP’s seeking confirmations from guests, you also invite your guests to select their preferred menu choice for your Wedding Banquet. 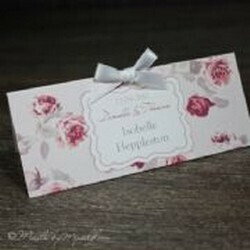 Note also how you will be able to choose one of the approved stationary suppliers to create your menus for the tables / and for the invites themselves, if you wish. You will then provide us with a list of guests for each table, and what they are eating. You will not be able to commence the table plan till you know for sure who is coming, at which point you then have another interesting issue, deciding who will sit at which table. Consider who will get along with whom? After all, your wedding guests will be sat at their table with your choice of fellow diners, for the better part of 3 hours! We are now coming to the end of our initial sequence of email advisory notes and hints. If you have not yet arranged a viewing at the Castle, I hope you will soon do so, as you will not know if you like the venue or not, without seeing it first-hand. If you would like to ask any of our Planners a question, you can email any one of them direct and ask a question. We hope to see you soon at the Castle and look forward to holding your Wedding at Craig y Nos, where we only ever hold ONE wedding a day – yours.